Prime Minister Datuk Seri Najib Tun Razak giving a speech at the launch of the Expo Negaraku 2017 on Wednesday . KUALA LUMPUR: The Malaysians are now optimist that they are in the good hands of a government that could bring them far and have a secured future. Prime Minister, Datuk Seri Najib Tun Razak said, the people should not be taken in by certain party’s instigations, but instead hold on to the existing government. “Malaysia is now well-known globally especially after we attended the Asia Pacific Economic Cooperation (APEC) Summit in Vietnam and 31st ASEAN Summit in Manila, Philippines recently. “Malaysia is highly respected as a successful nation by the United States of America and China – and because of that, the people should have the confidence that the government is on its right track,’’ he said in his speech at the launching of “Negaraku Expo 2017” at Dataran Merdeka on Wednesday evening. He said Dataran Merdeka is the best location for the expo as it is easily accessible to the public and symbolically is the place where the Malaysian flag had been raised while the Union Jack flag was taken down. The “Negaraku Expo 2017” is organised by the Economic Planning Unit, in the Prime Minister’s Department and it is opened to the public starting today until 15 December 2017. 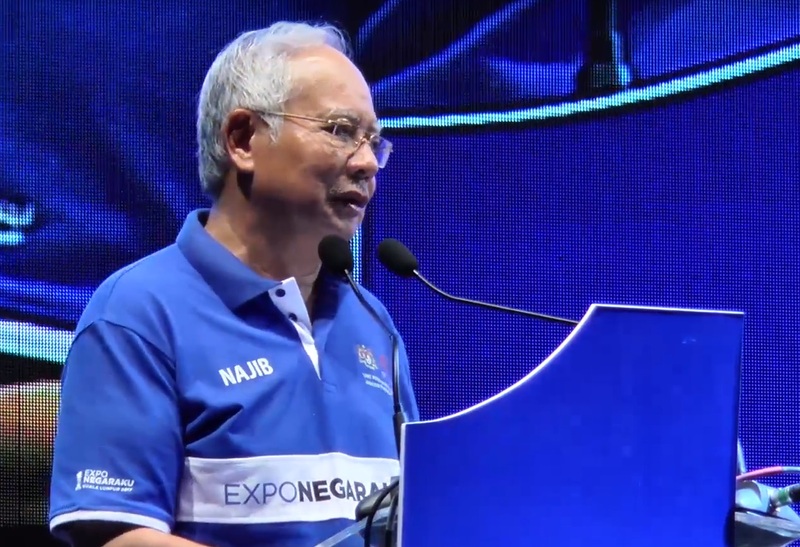 Najib added, the expo also gives a message that the government has its systematic and well structured plans, have delivered their services to the public and will continue to do so. “We want the people to see the facilities and conveniences or “infra rakyat” that the government has rendered to them. Every “infra rakyat” is made for the people and hence the government is working hard for the people,” he reiterated.